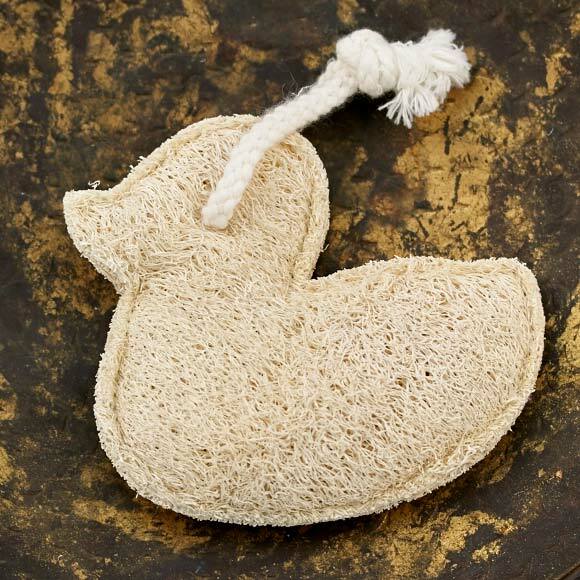 Duck Shaped Loofah Pad with Rope. Loofahs are tropical and subtropical vines that belong to the Cucurbitaceae family. Fruit bears from two species of the Loofah and are similar in appearance to a cucumber. Luffas (Loofah) are harvested before maturity then eaten as a vegetable in Asia and Africa. Parts of the Loofah plant are used to create kitchen sponges and even houses. Loofahs are quite versatile and are used for scrubbing purposes. Most loofahs can be used to remove dead skin cells acting as an exfoliator or to remove dirt and food from pots and pans. Loofahs offer a great exfoliating experience without being abrasive to the skin.